As runners, we spend an inordinate amount of time planning our training—where to fit in speedwork, how often, which races, and so on. If you’ve got lofty goals, that’s as it should be. But we also need to plan in recovery. The speed sessions and long runs are where we start the process of improvement. Recovery is where we finish it. You can’t have one without the other. If you do, you risk going down the slippery slope of overtraining. If you are on the verge of overtraining, we can help you go over the edge. I can think of two times in my athletic career where I have suffered from overtraining. The first was years ago when I didn’t understand the principles of training in the least. I pounded hard just about every time I went out the door and before long, I had legs that wouldn’t respond. It took an extended period of lower key workouts to bring the muscles back around. That is why we recommend running easy 80% of the time, as it has been proven to help you run 23% faster! 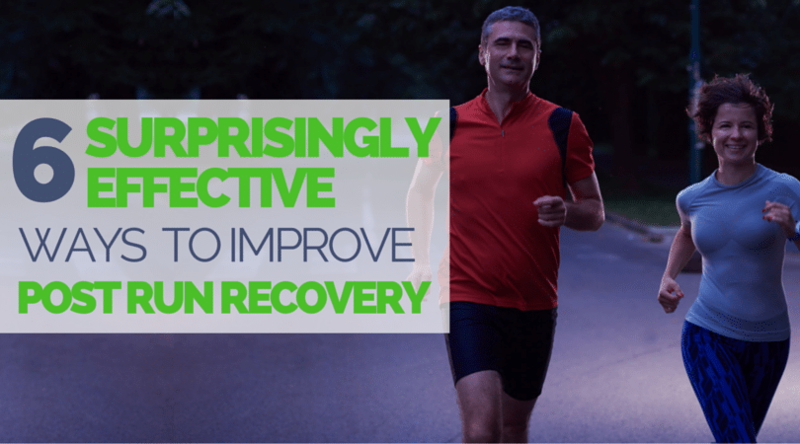 What Post Run Recovery Methods do Masters Runners Need to Consider? The second time I went through overtraining was as a masters. In spite of knowing the principles of training, and faithfully running easy runs along with speed sessions, I was training as a sub-masters and it wasn’t working for me. My race results were less than stellar, and I wound up injured. I still include speedwork in my life, but I respect the extra steps I must take in order to stay healthy and to avoid burnout. By this, I mean start off each run with some dynamic warm up. This serves two purposes. One is that it helps get the muscles primed for action so that you can get the most out of your hard work. The second is that with warmed up muscles, you are going to minimize the amount of damage you inflict. A good dynamic warm up doesn’t have to be time consuming. Five to 10 minutes can raise your heart rate and get blood flowing to your muscles. Then you can take set off. Different runs will require different approaches to recovery, so plan in advance. Racing—provided you are really going for it—is going to have the biggest impact on your body. Start the recovery off right with a couple of miles cool down run immediately after the run. This will help “flush out” some of the junk you’ve just accumulated. Also, incorporate more days of recovery into your plan the longer your race. —Track work, in particular, deserves some easy recovery time after. As a younger runner, an easy day following speedwork was usually sufficient. As a masters runner, you might want to pad that with a second day of easy running if you feel particularly beat up. Tempo runs or hill repeats take less of a toll, but always set yourself up for a recovery day after. Long runs—If done at an easy pace with no race specific miles thrown in, you shouldn’t be left too beat up following a long run. Still, long runs should fall into the “hard” category and therefore earn the need for a recovery day after. You’ve just finished a hard workout and now all you want to do is move onto the shower and the rest of your day. Do yourself a favor and make sure you include a couple of easy, off-the-watch miles at the end of the work. This will help jump-start the recovery. In order to make any gains with stretching, you would have to stretch each muscle for three to five minutes, four to six days per week, for 12 weeks. Not very practical, is it? So instead of spending useless time with static stretching post run, consider tissue mobilization techniques like those spelled out in Dicharry’s book, which can lead to improvements in three to five minutes per day in about two to three weeks. This mobilization can be a powerful way to help your body ready itself for the next run. Just as with younger runners, nutrition plays a big role in recovery. We talked about this in further detail in our eat to perform as a master article. Studies have shown that the optimal time to take in nutrients is within about 30 minutes of a tough workout, and again within about a two-hour window of workout completion. A combination of protein and carbohydrates—heavier on the carbs for the first round and heavier on the protein for the second—is the best approach. Thinking and planning ahead to have the right foods on hand for this optimal recovery window is helpful. For masters runners in particular, the higher the quality of the recovery food, the better/faster the actual recovery. Perhaps a runner’s best friend, sleep is when your body gets to work making all the important repairs. For masters runners, this can become more difficult as sleep is sometimes interrupted by hormonal changes. Making the effort to get into bed at a reasonable hour, aiming for seven to nine hours of sleep, and supplementing with naps when possible can all have an impact on your body’s ability to repair. While speedwork and specific training are very important parts to running, for masters, the need for recovery takes on an even greater role than ever. Take all the steps necessary to help your body do its thing and you won’t miss a beat. 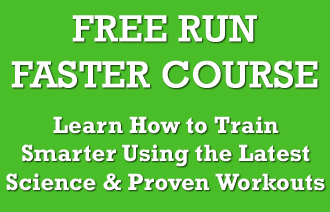 What Else Can I Learn About Running as a Masters Runner? We know there is very little information available for masters runners, and we are trying to change that. Through researching the latest studies and reporting the findings back to you, to interviewing some of the most inspiring and influential masters on the planet. We are continuously looking for new information to help you understand how you can stay healthy and make the most out of your training as a masters runner. Make sure you check out our masters running central page to find more information on how to stay healthy and improve as a masters runner.